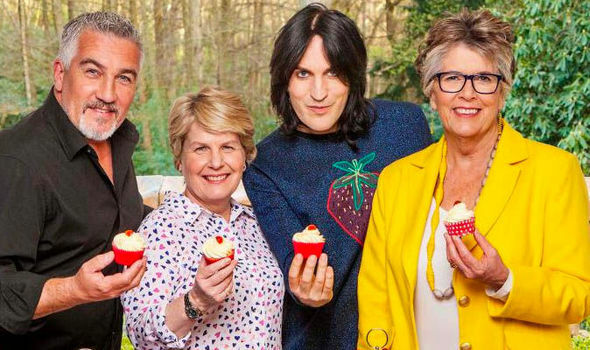 Consolidated viewing figures released today - taking account of time-shifted viewing on a television over a seven day period - show that Channel 4’s first episode of The Great British Bake Off was watched by an average of 9.5 million, 35.4% share of the audience. Additionally, the repeat showings on Channel 4, E4 and 4Seven were watched by a further 1.5 million viewers. Episode one has also attracted 1.1 million views on All 4 making it the on demand channel’s biggest ever catch up audience within seven days across Channel 4’s owned and operated platforms*. 70k viewers streamed the episode via All 4’s Watch Live. The consolidated figure of 9.5 million viewers for the series debut is an increase of 3 million on the live overnight audience of 6.5 million – which was Channel 4’s biggest overnight performance in five years (since The Paralympic Games Opening Ceremony in August 2012) and biggest peak time share for 16-34 year old viewers in ten years. Initial overnight ratings for last night's second episode saw a slight drop with the show down to 6million but even with this slight drop the ratings are proving Hunt's gamble worthwhile.